I’ve now read the book and seen the movie twice each, so I have had a lot of time to think about both of them. I read the book for the second time after seeing the movie for the first time, and then watched the movie again. This was an almost-faithful adaptation of the book, and I found that I loved the movie. I loved each and every slight change that was made. And after seeing it for the first time, I was ready to get out there and let everyone know what I thought of the movie. When the lights turned back on after the movie was over, nearly all of us were quickly trying to recuperate from the emotional roller coaster that was The Help. It was also at that moment that we were introduced to Stacey Snider, the CEO of DreamWorks, who had been eager to meet the Mommy Bloggers. Even though I had cried off every flake of mascara and my face was puffy and blotchy, I sobered up and got ready for our meeting with Stacey. I can be pretty shy, but I found myself raising my hand and asking the first question. I wanted to know what Stacey’s first reactions to The Help were when she read it, and how soon after that negotiations began for film rights. “I read the book when it was a manuscript before it was published and loved it…Then it got published and…became a kind of word of mouth very slowly. I mean it wasn’t a kind of instant hit and I tried to get the rights. I called…Kathryn Stockett’s agents and she had given the rights to Tate,” she explained. 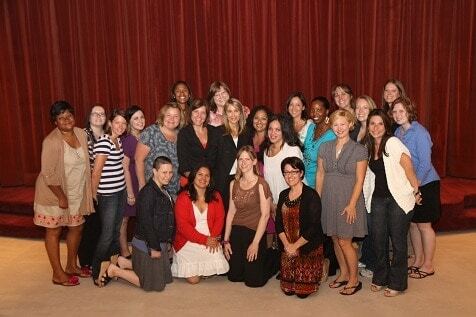 Tate Taylor is a childhood friend of Kathryn Stockett’s, and he wrote and directed the screenplay for The Help. “It’s a kind of great story because they were best friends growing up; both raised by single moms, both raised by African American women who were like their moms and both trying to make it in their respective careers.” It was actually Tate who suggested that Kathryn write about what it was like growing up in Mississippi and being raised by a black maid. During 9/11, Tate and Kathryn were rooming together in New York, and the tragedy had a huge impact on Kathryn. Demetrius was the black maid who helped raise Kathryn, and The Help began as a bunch of short stories about Constantine, who is very similar to Demetrius. After the book became published, Kathryn gave the film rights to Tate Taylor. The Help was rejected 60 times before it found a publisher. In a lot of ways, Dreamworks took risks to make this movie. A movie such as The Help, which is female driven, a period piece, and dealing with racial relations, isn’t as easy of a sale at the box office when there are “safe” movies out there that have very simple and entertaining plots. 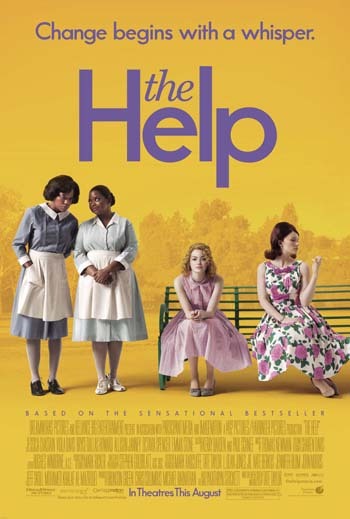 The Help may definitely appeal to those who have read the books, but what about the rest of movie goers out there? Like the tag line for the movie says, “Change begins with a whisper.” See this movie, and talk about it with everyone. Bring your friends and family with you and see it again. I don’t know about you all, but I want more movies like this one to be made. If you agree with me, spread the word and see how one whisper can make all the difference.